Note: The authorisation requires an internet connection. Feels well made, the finish is quite good. Very lightweight, but robust enough to be confident about bringing it with me everywhere. The pads and keys feel very nice, and the daw controls are handy when producing. The "wood" panels on the side give it a fancier look. The software that it comes with is VERY GOOD! Analog lab and UVI grand piano are pro level instruments an I believe them alone justify the purchase of this product! Huuuuuge value. For the money, a very nice MIDI keyboard. So far in my home studio I've been using the Swissonic Easykey49 with Cubase 9.5. Since I need 61 keys and wanted to have a few controller functions, I was looking for an appropriate master keyboard. After a lot of talks and experiences I decided for the Arturia KLE 61 BE. 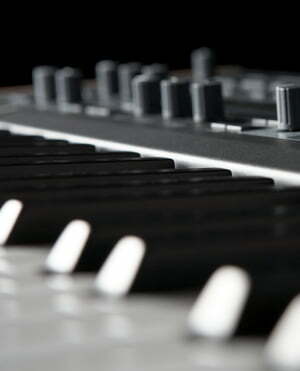 The Swissonic ControlKey61 has already dropped out because of its heavy weight. As always fast delivery. 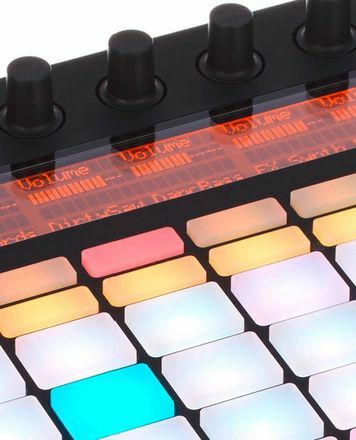 Connected via MIDI at the UR22mkII and USB at the PC, CB 9.5 started, automatically recognized and import via keyboard immediately possible. Buttons and controller controls feel pretty good, nothing wobbles and makes a solid overall impression. (Can not understand so many reviews here ...). Clear outline. To anticipate it right away ... The settings of the controller functions are not trivial. Downloads / Registrations / FW-updates / not all features work with all DAWs (metronome is not supported by CB) / Note on ANALOG LAB2 (is included) but is wrong, because replaced by ANALOG LAB 3. It was important to me to use the transport field on the keyboard so as not to have to use the mouse or PC keyboard. For this you should know a bit about protocols, because WIN and MAC are treated differently. The techn. Support from Arturia is great. Had to use it several times to find hidden features. I'm not quite through with the assignments of the controller data. For the demands that I have on an input device for music productions in the home studio, I am satisfied with the device (I also have a Clavinova for input). I would like to have a much better instruction to use all the features that you have to search together painstakingly. ID: 437816 © 1996–2019 Thomann GmbH Thomann loves you, because you rock!